TURNING STORIES INTO ADS: Panorama. | STUFF FROM THE LOFT. THE PROBLEM: Panorama’s audience was shrinking. We knew where to find a potential audience; The Guardian, Times and Telegraph. But how do we approach ads for one of the BBC’s most respected programmes? PANORAMA’S PERCEPTION: Serious, straight talking and truth-seeking. ADVERTISING’S PERCEPTION: Bullshitting, tricking and spinning. We couldn’t do anything about advertising getting itself a bad name over the last century, but we could avoid looking like we’re in that gang. Ads tend to look like ads; a small logo bottom right, for example, tells you that you’re not looking at editorial, which is handy for most people because it allows them to ignore ads very quickly and go straight to the editorial. The ideas themselves were straightforward: People rarely watch a season of documentaries because of the brand, they dip in and out according to that weeks story, so we needed to turn their stories into hooks, or ads as they are sometimes known. Problems are good, they give you direction, without them you’re just doing ‘visual and verbal gymnastics’, as Bill Bernbach put it. If you find the right problems you’ve got a chance of finding the right solution. a) Each episode of Panorama was unique, so we needed a very strong visual style that would hold together this very disparate range of subjects. A strong visual style would also help us own stories that were being covered by media outlets. Take ‘The O.J Simpson Trial’, who wasn’t covering that? I think even the Beano did an 8 page pull-out on that at the time. b) We needed a visual style that had authority and didn’t feel like an ‘ad’. The two problems got me thinking about magazines, they dealt with serious issues all the time, they managed to use humour without diminshing the gravitas if the issues. I remembered a book from my first agency Brooks Legon Bloomfield, in fact it was their library, it was the only book on advertising in the building. Consequently, I read it a lot, REALLY a lot. 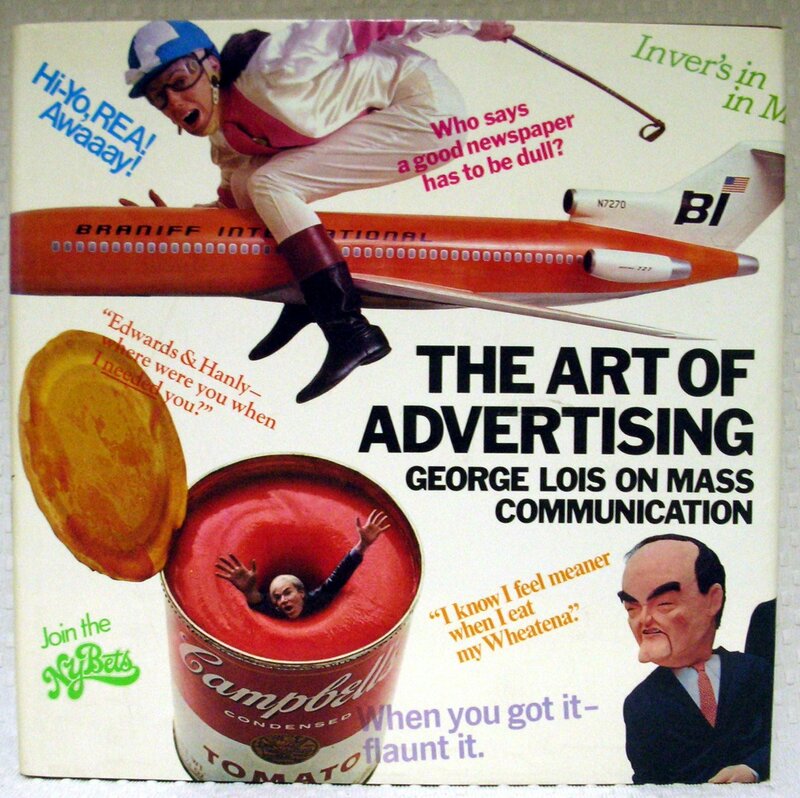 I didn’t love all of George Lois’ stuff, but I did love his Esquire covers. They managed to put over complex issues with simplicity and wit. We took this as our inspiration. Logo size is debated every day in agencies; agencies want them smaller to make the brand classy, clients want them big so that even if the public don’t engage with their message, at least they’ll see their name. But here’s the thing, size doesn’t matter, it’s what you do with the logo that counts. If we made the Panorama logo look like a magazine masthead it wouldn’t feel like a logo. It was as big as humanly possible, but it didn’t have that ‘desperate big logo’ feel. It gave us a tremendous amount of flexibility, we could put anything in the area below, illustration, full-bleed photography, all type, and it would always feel part of the campaign. I couldn’t find many discarded roughs for this campaign, a shame because knowing Tim Delaney, we probably wrote ten for every one that ended up being a made. The only ones I could lay my hands on were for the episode covering the O.J. Simpson trial.On the face of it, this is a very clever neat idea: As is this: But, I think our ‘clever’ ideas are getting in the way of the story. The story doesn’t need our spin, it’s the O.J. trial, at least show him. In retrospect, two massive letters ‘O’ and ‘J’ would’ve been even more direct. Also, ‘They used to say there’s only one O.J. Simpson?’, Who? Who used to say that? I’ve never heard anyone say that? Why lie? 1 response to TURNING STORIES INTO ADS: Panorama. Previous post AMERICAN AIRLINES: Hey, you never know? Next post LOOT: Scruffy product = scruffy ad.